Telangana State invited online applications from the eligible and interested candidates belonging to Backward Classes (BC), Scheduled Castes (SC) and Scheduled Tribes (ST) for attending Common Screening Test for free coaching for Civil Services Examination, this will be conducted on August 19, 2018. Candidates are selected in a Screening Test based on the rank obtained. 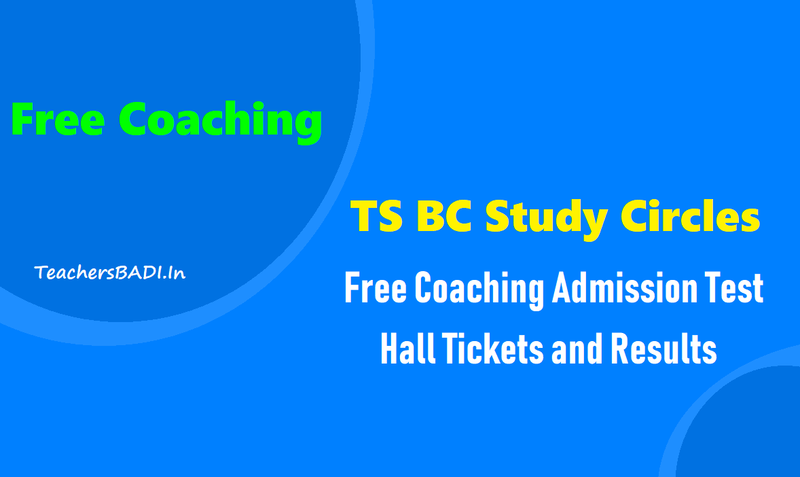 In this stream, eligible candidates were applied for civil services free coaching. Those candidates are waiting for their hall tickets. TS BC Study circles officials have announced that, Common screening test will be conducted through online mode on August 19, 2018 in all districts from 11 AM to to 1 PM and they said that, the hall tickets will be available from August 17, 2018. So, Applied candidates can download their hall tickets from on its official website. Here, we are provided links for downloading. The candidates must keep their hall tickets while you are going to examination and it is the entry pass of examination hall. The Candidates, who were appeared the Online Screening Test of TS BC Study Circles on August 19, 2018, they are waiting for their results/selection list. Officials will announce the results of Free coaching admission test 2018 on its official web portal in August last week.